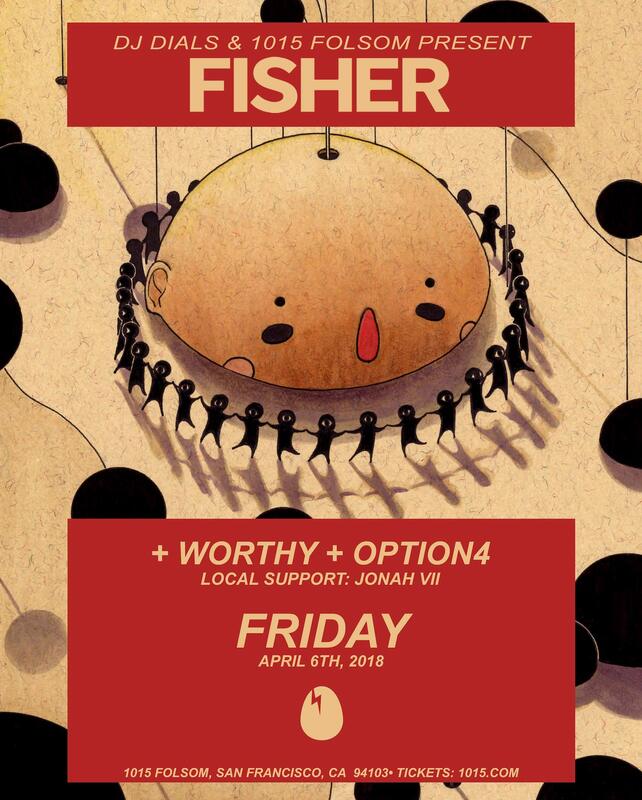 The debut FISHER performance in San Francisco supported by Dirtybird player Worthy and rising star Option4, taking place this Friday at 1015 Folsom, is about to sell out in advance. YA KIDDING! (That was too easy). But no, I’m not. FISHER, who is one half of one of my personal favorites Cut Snake, has been on an absolute tear lately, seeing basically every track he releases played by major DJs around the world. I’m talking about songs you definitely know: “Crowd Control”, “Stop It”, and of course “Ya Kidding”. From what I hear the Aussie is one crazy bloke as well. With a sell-out warning, top-notch support, studly local artists opening and playing the side room, and a Friday night at 1015 Folsom you know this is going to be an absolutely wild event. Do yourself a favor and BUY TICKETS WHILE YOU STILL CAN. As always go support the artists you love and catch us on the dance floor; thanks to DJ Dials for another awesome booking!